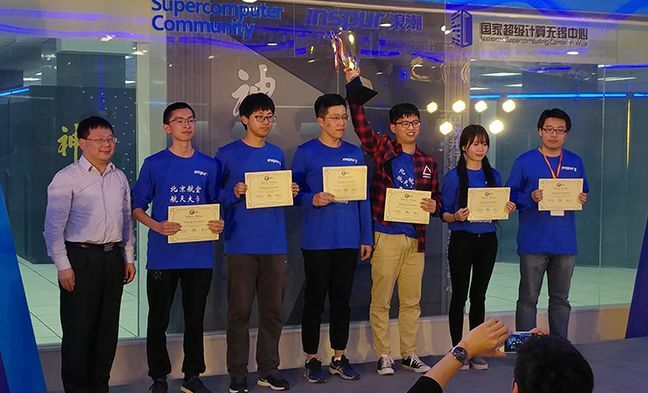 HPC Blog Tsinghua University topped their 19 competitors to take home the Overall Championship trophy at the recent ASC17 Student Cluster Competition in Wuxi, China. But this isn’t the first time the school has tasted the sweet nectar of victory while hoisting the winners’ cup. In addition to previous ASC wins, the team had a golden year in 2015 when they took the Overall Championship at all three (ASC, ISC, and SC) major cluster competitions. While we don’t have detailed scoring results from the ASC17 committee, we do have scores from the first few tasks and can speculate on why Tsinghua won. First, they notched a decent HPL result, putting them in fourth place overall. They then grabbed third place in HPCG, increasing their overall standings a little bit. They really put some distance between themselves and the rest of the field on the Falcon application, posting a dominant 12.44, while the second place finisher (NTHU) came in with a score of 5.51. Tsinghua knows Falcon – no doubt about it. The notched a second place finish on Saturne (the mystery app) with a score of 8, bowing to second-place winner Beihang who turned in a score of 12.91. 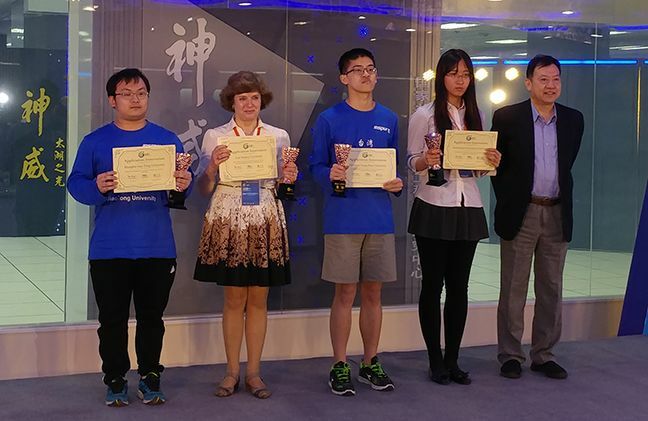 For the win, Tsinghua gets their ticket punched through to the ISC17 finals, which will take place starting June 18. They also get the grand prize of approximately $15,000, which is pretty sweet too. 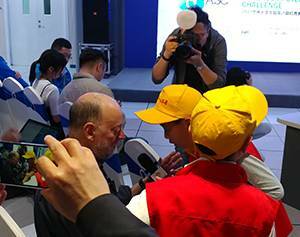 Beihang University, formerly known as Beihang University of Aeronautics and Astronautics, took down second place at ASC17, which will give them a chance to stretch their wings and fly to Frankfurt to compete at the ISC17 finals. Beihang didn’t look like a winner after their HPL run. Their score of 7.298 put them in the 13th slot overall. They also didn’t finish near the top of the leader board on the HPCG benchmark, posting a 244.72 which placed them in the 11th slot. These scores aren’t because the Beihang kids can’t run or optimize the benchmark, it’s because their cluster doesn’t use any accelerators. They also didn’t make Falcon fly; their score of 1.5 was well off the pace of the leaders. However, they absolutely nailed Saturne with a score that was 12x any of their other competitors. They must have done a very good job on MASNUM, PaddlePaddle, and LAAMPS as well. Or at least a good enough job to dig themselves out of the hole and nab second place. For their efforts, the Beihang team receives a check for approximately $7,500 and tickets for the ISC17 competition in Frankfurt, Germany. 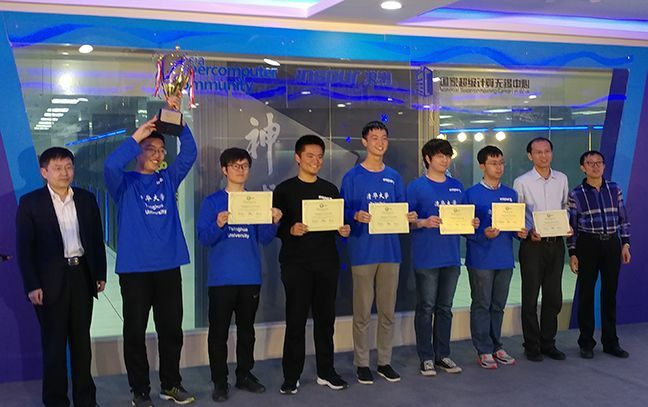 As we wrote about here, the newbie team from Weifang University set a new student world record with their HPL (LINPACK) score of 31.7 TFLOP/s. Here’s another picture of the proud team accompanied by the guy who developed both LINPACK and HPCG, Jack Dongarra. Four teams took prizes for application excellence. Ural Federal University took home their first student cluster competition prize for their work on PaddlePaddle. Shanghai Jiao Tong University won honours for optimizing MASNUM on the Sunway system (the biggest supercomputer in the world, btw). Northwest Polytechnical University and Taiwan’s NTHU won prizes either for LAMMPS or one of the other applications. They were announcing the prize winners in Chinese and I couldn’t get to my translator ear piece quickly enough to hear the results. Yeah, I’m an idiot. Let’s see, what else? During the awards ceremony, there were three little kids ranging around with microphones. I captured a picture of them interviewing HPC maven Jack Dongarra. Probably discussing the finer points of HPCG. The kids didn’t even try to interview me – the one guy in the world who has attended every student competition since 2010. Gee, thanks…. This was a very well-run competition with few hiccups. The committee did a very good job of taking care of the students and ensuring that they could all compete at peak levels. Next up we’re going to reveal the competitors for the ISC17 Student Cluster Competition, which will take place beginning June 18 in Frankfurt, Germany.